We talked to our trucker friends and made a list and checked it twice! Here are some of the top choices for gifts this year. Make sure your favorite trucker never gets lost. Many GPS units come with lifetime maps, you just need to plug the GPS unit into your computer and update it for the most recent maps. Features can include lane assist to guide drivers to the correct lane when approaching turn or exit for easier navigation in unfamiliar intersections and exits. Other options that are helpful to truckers is the ability to save trips and information for each trip like destination, time, average mph, etc. Don’t forget the mounting hardware. Talk on the phone hands free. 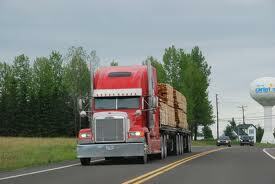 New federal regulations do not allow truck drivers to talk on their cell phones while driving. Help a trucker keep in touch with family and friends while on the road hands free with a Bluetooth headset. Most smartphones have Bluetooth technology and are easy to use. It gets cold on the road. A heated blanket can make a long, winter night a lot warmer. Make sure the recipient has access to a plug in order to use it. Listen to anything with Satellite. Satellite radios are relatively inexpensive and most offer over 150 channels. Satellite radios can be a real tool with weather and news stations and a source of entertainment with a variety of talk, sports, and music channels with very little commercials. You must purchase a subscription plan to listen to satellite radio and you can choose monthly or yearly payments. Get a massage while driving down the road. Deluxe back and lumbar support truck seat cushions make a great gift for any trucker. You can find cushions with heating / cooling options or massage features. Some cushions include a 12 volt plug and for the cushions that use 110V AC plug, inexpensive converters are available. 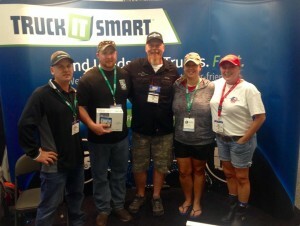 A one year membership to Truck It Smart! Most of these gifts can be found on Amazon.